Honestly, I’m finally at a point where I’m pretty happy with my hair, and I don’t talk about it enough! I’ve had so many bad experiences with it over the years but I’ve found exactly what works for me and what I feel comfortable with. Admittedly I’m usually pretty boring, I tend to curl it in the same way then just leave it down, but over the past few months I’ve been pushing myself to do a little more with it, and actually I’m really enjoying doing something a little different. 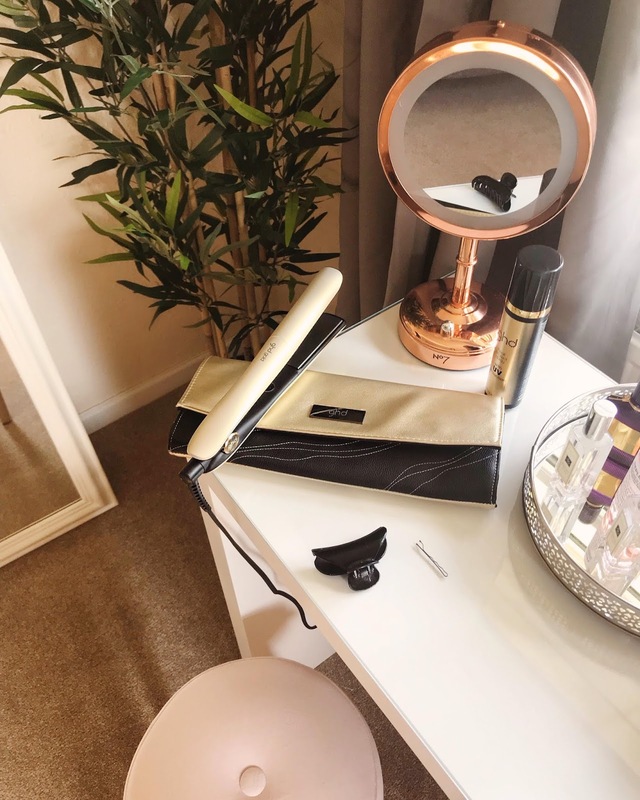 ghd very kindly sent me their brand new sahara gold styler to try – it’s possible the most beautiful pair of ghds I have ever seen, I’ve used ghd straighteners since I was 14. I remember getting my first pair for Christmas and I’ve used them ever since. For both of these styles I have curled my hair using the new styler. Now it doesn’t take a genius to do this first one ~ or the second come to think of it ~ but I’ve been loving having part of my hair back out of my face, it takes less than a minute but it adds height to the roots of my hair, takes back some of it for the warmer days and in my opinion looks quite girly and cute. I either use the clip in the photo, or just 3 grips and that holds it in place, finish with a light coat of hairspray and I’m good to go. I absolutely love ghd, if you’re looking for a hair tool that you can use to straighten, wave and curl your hair then it’s a must in my eyes. Which style is your favourite out of the two? 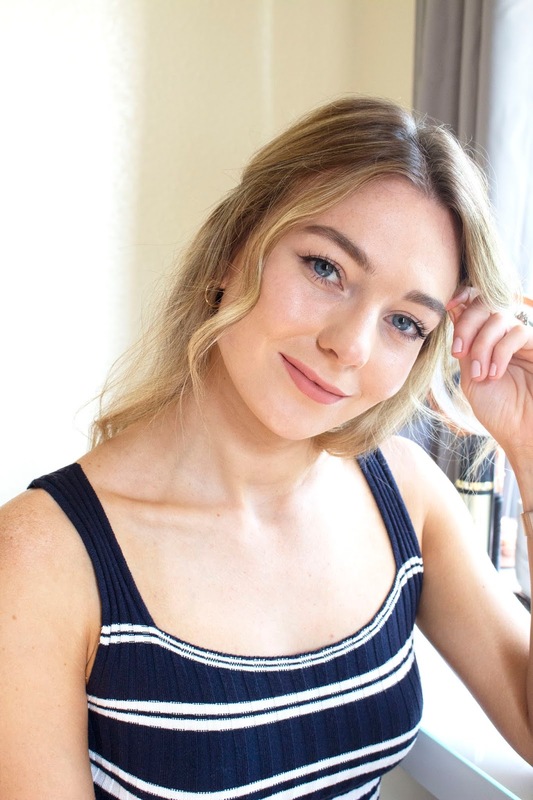 "My Top 5 Charlotte Tilbury Products." I LOVE the third style on you especially!! So beautiful! And I agree, I couldn't live without my trsuty GHD's!! I really want to get some Ghd’s because I feel like I’m the only one that doesn’t own a pair and it looks like I’m really missing out!My fave hairstyle is deffo the ponytail one but they all suit you��You look stunning Jodie! Thank you, I always end up coming back to it because it's so quick and easy and less damaging! 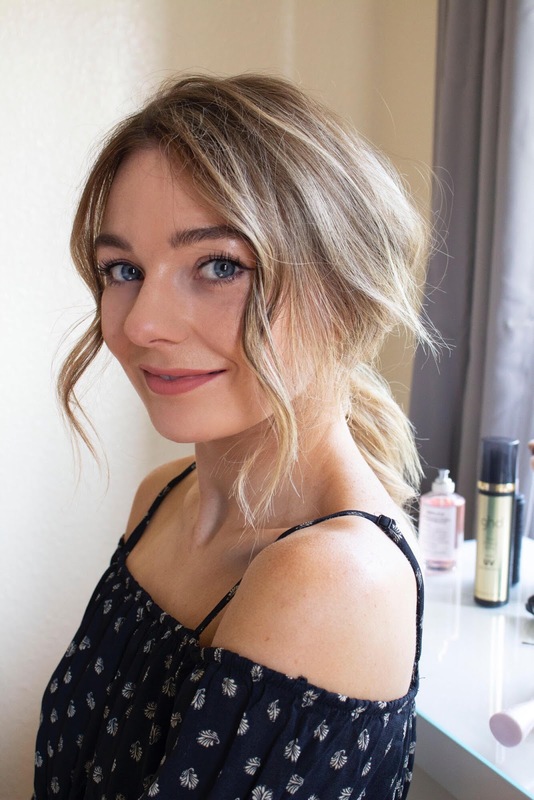 I love the way your curls sit at the front near your face – looks so effortless and girly! 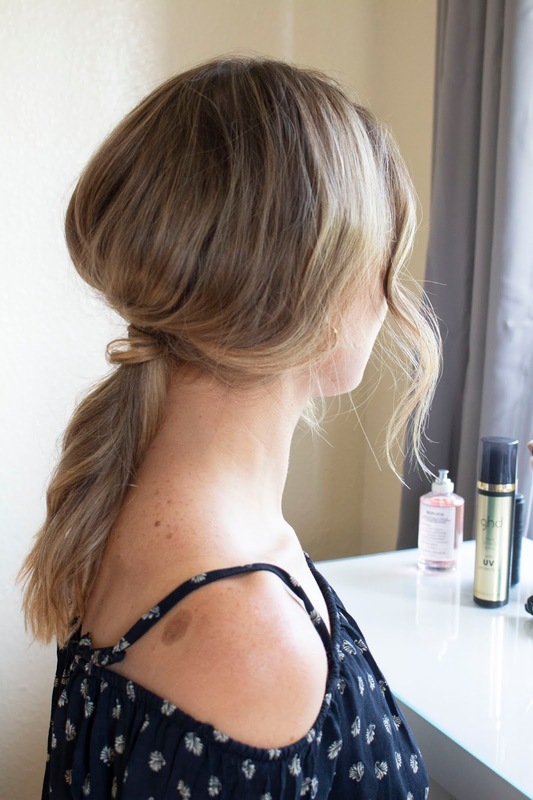 These hairstyles are definitely perfect for the summer! Ahh I would love to have thick hair, I guess there are pros and cons to both!